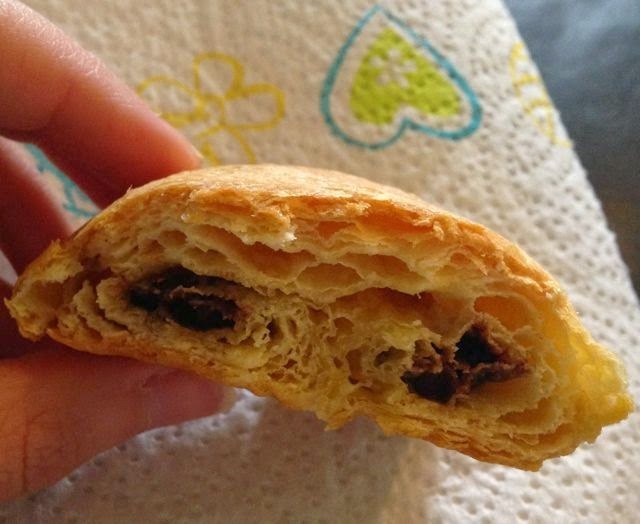 Having had such a brilliant success making Jus-Rol Cinnamon Swirls, I thought I’d explore the range a little further and found these Jus-Rol Pan Au Chocolat. 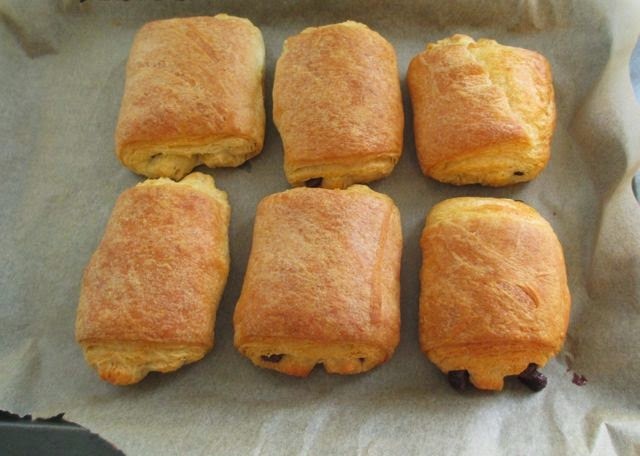 These are a chilled product and contain all you need to make six Pan Au Chocolats in around twenty minutes. Despite being from the refrigerated section the use by date was still a good couple of weeks away, so you can keep them in the fridge until needed. Inside the box was the Jus-Rol tin I’ve become accustomed to, and a pack of chocolate sticks. 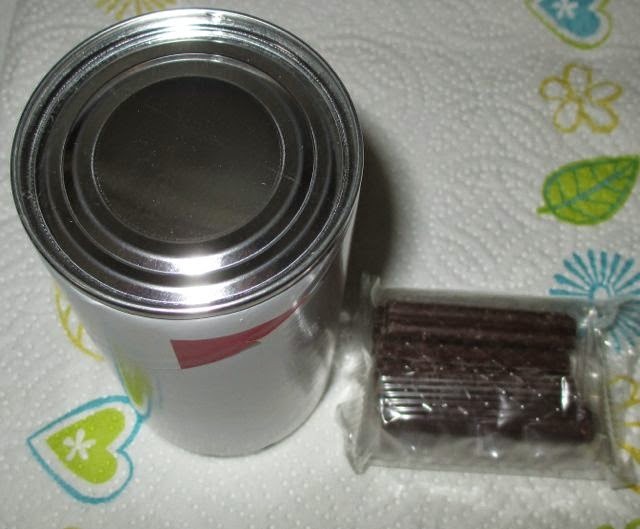 The most complicated part of the Jus-Rol process is opening the tins, You have to pull at the red tab and watch it unwrap and split open in the middle, and then prise the rest apart. 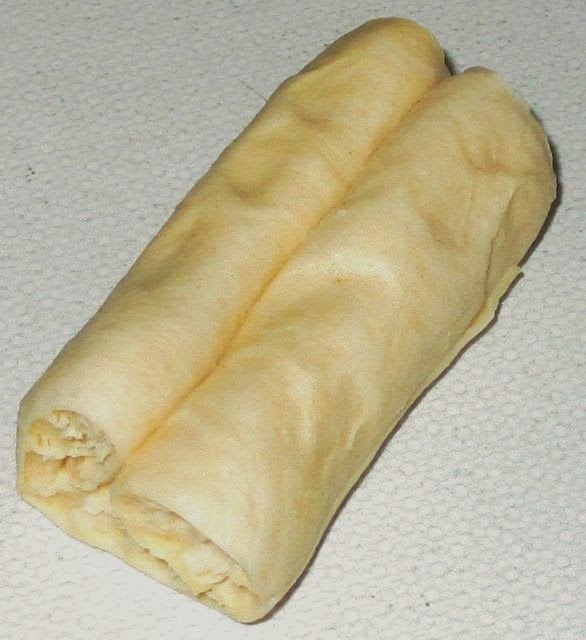 Once you do you get a roll of dough which you then unroll. The pieces are perforated and split into six sections. 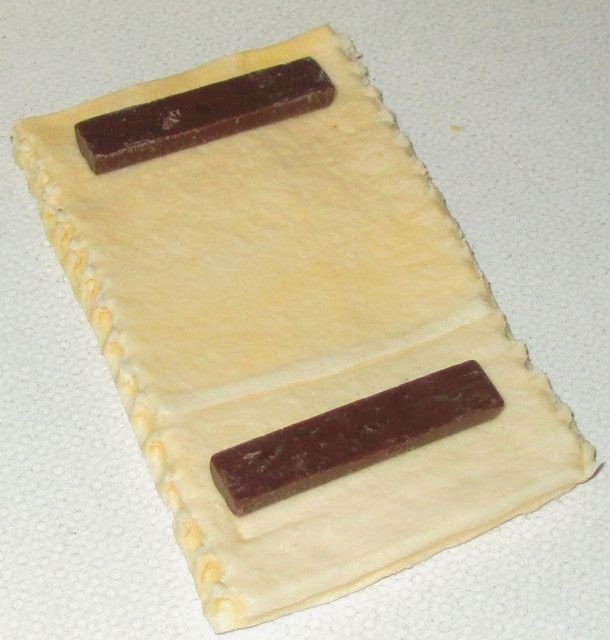 Following the instruction you add two chocolate sticks to each piece at the ends and roll them inwards until they meet int the middle. 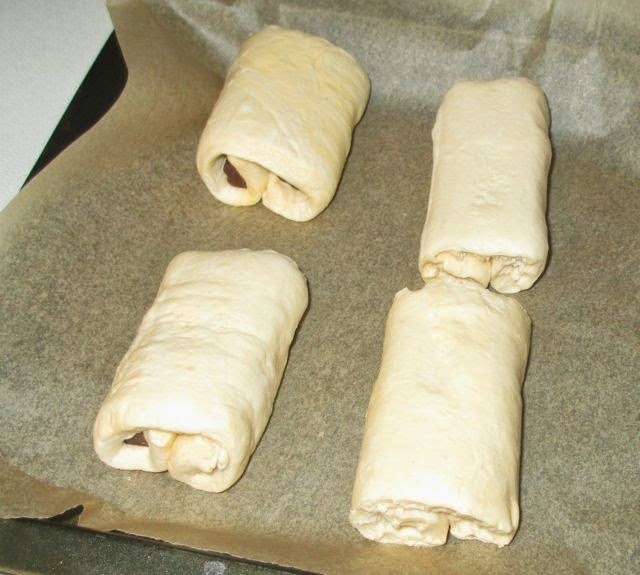 Turn them upside down and place them on a baking tray and then you bake them for 12 minutes (or until golden). They smelt lovely while they were cooking, and ours took just over the 12minutes to look like they were golden and done. We let them cool a little while, but still tucked in while they were warm. The pastry was spot on, crisp but the all the layers made them fluffy too. The flavour was very rich and buttery, and the chocolate was perfect, gooey but dark with lots of flavour. Again these were a total success and so quick to make. I enjoyed them so much I was scouring the supermarket website to see what else they do. I’ve added the Apple Danish kit to next week’s shop!